It is a fact that an Indian skeleton was inadvertently dug up on the grounds, but was subsequently reburied with a traditional Indian burial ceremony. Despite these efforts however, this spirit does not seem to be at rest according to reports. We were met by American Ghost Society representative Kelly Davis who gave us a tour of the house while discussing the history and paranormal activity that has taken place. Kelly knows the house well, being a major player in saving it from the wrecking ball. She is now deeply involved in the renovation of this historic homestead. CAPS was fortunate to be the first group to investigate the newly opened Gentlemen's Parlor on the first floor. It was reported that a travelling salesman passed away in this room. While I was sitting in the room, I heard what sounded like footsteps walking across the floor. The rest of our group was upstairs and they all stated they were not moving around at that time. While on the second floor, where the bedrooms are located, I also felt like cobwebs were touching me. 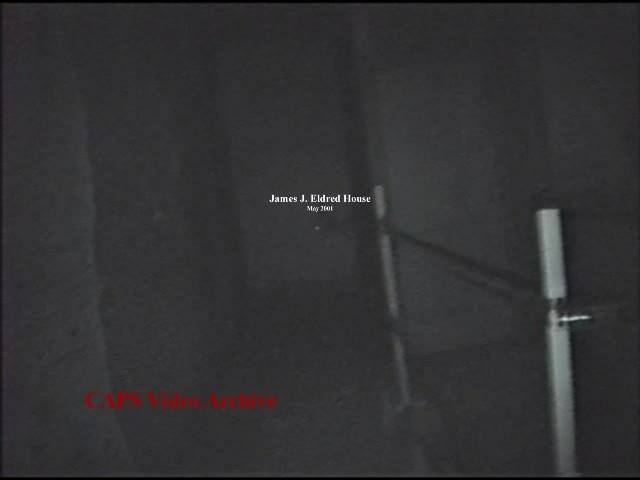 This was captured on one of our video cameras, where you see me looking around trying to figure out the source. I also felt like I was touched in the basement where they say a cranky male spirit resides. Just prior to this I thought I heard a soft EVP while listening with headphones. All these occurrences were so subtle that it is hard for me to say for certain it was paranormal. While out on the grounds, Zach had a quick hit on the K2 meter, as if someone had passed by him quickly. There are reports of this happening previously along the tree line, and at this time there were no power sources to account for this. He was unable to reproduce this phenomenon, and had no additional experiences. Vicki had her most profound experience while using dowsing rods to talk to a little 5 year old girl named Alma, one of the three daughters that passed away in the house. At one point, Vicki, one of the most sensitive members of CAPS, asked for a hug, and while going through the motions felt cold spots on both sides of her lower back, as if she were being hugged by a child. Vicki also had some video camera malfunctions in the kitchen area. After having three recently charged batteries instantaneously drain she gave up for the evening! Was it paranormal or just another case of antiquated equipment? Likely the latter!! A spirit that likes to throw rocks in the kitchen area, (a young boy they call William) was fairly quiet on this night. Interestingly, he was very active the first time Trish and I were there. At least 5 large size rocks were thrown that night, with Trish hearing them whizzing by narrowly missing her head on two occasions. That was not good for her psyche. This time we captured an EVP while Trish and Vicki were talking to the young spirit in the kitchen that sounds like a young boy saying William?. I have included the EVP below. All in all it was a good investigation and the evidence, particularly the EVPs, lead us to believe there is some type of activity at the Eldred House, which makes it worth another visit. This one sounds like "Relax"
Think this one says the name "William"? Trish and I were alone in the cellar were packing up the equipment we stated we were leaving. I had a camera running with a bright light so if it says "can the lights go too" like I believe it makes sense. 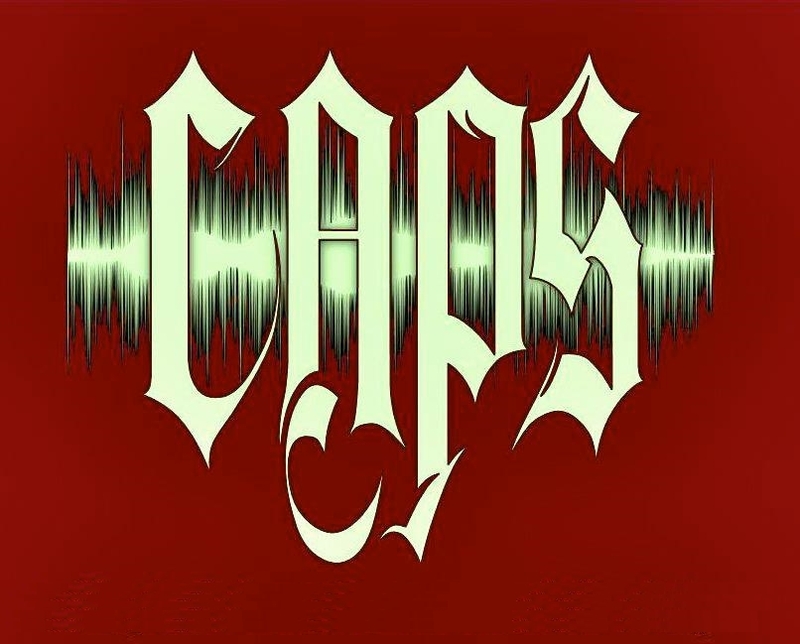 There is a dispute amongst CAPS members as to what it says however. You judge! An individual was conducting a session with dowsing rods and asked if a particular entity was there. I believe she got an answer.